The Namib Desert – Sossusvlei Dunes - Set in the far northern part of the NamibRand Nature Reserve, an area that covers over 440 000 acres, an interesting safari experience awaits. 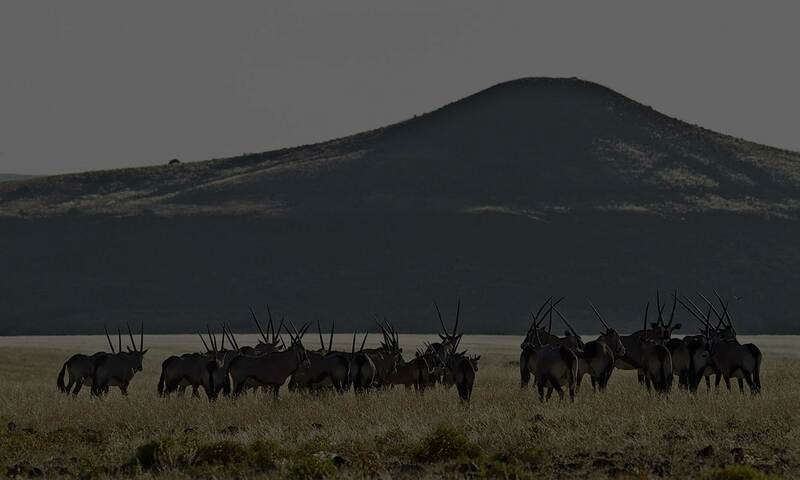 This experience has a unique landscape of jagged mountains and spectacular sand dunes in turn allowing for different game viewing opportunities like the Gemsbok and Hartmann’s mountain zebra. Photographic opportunities are endless and the beautiful lodges await your arrival. Etosha National Park - Located in Northern Namibia, with it's name meaning ‘place of dry water’ the Etosha National Park allows for great sightings of Zebra, springbok and many other antelope. Watering holes are where you will find the more elusive animals such as lion and the endangered black Rhino. The Etosha pan receives enough water each year, which doesn’t require a lot, to encourage continuous growth of a blue-green algae which attracts thousand of flamingos. Skeleton Coast & Damaraland - Rich in history and beautiful sights, the area gets its name from sailors who sailed the barren coastline on the spice route. There are many sights to see including fascinating plants and creatures set in the scenes of sand and sea allowing for a vast variety of options for you to do while in this part of the World. In Damaraland you have the opportunity to track black rhino as well as desert-adapted elephant and enjoy a unique safari amongst the sand dunes.